"Advancing the Sciences of Molecular Imaging- Worldwide"
"Patient Care Essentials for the Technologist"
Welcome to The PET/CT Training Institute's Asynchronous Learning Management System platform. Students enrolled in this independent Asynchronous Learning Management platform have easy access to the latest online educational delivery methods. This NMTCB, Society of Nuclear Medicine and Molecular Imaging Technology Section, ARRT, ASRT, ICANL, ACR, and States Department of Health, Bureau of Radiation Control accepted CE courses, can be taken on the Internet, from your home, office or any convenient location where internet access is available. The PET/CT Training Institute's online programs are web-based courses, designed by qualified faculty and staff to create an interesting, interactive learning environment. The PET/CT Training Institute's Learning Management System is user-friendly, and courses can be taken easily by anyone with access to the World Wide Web. Lesson plans, assignments, and class schedules are posted online; while student/teacher interaction and student/student interaction can also occur over the Internet. Scheduled discussions, email messages, live chats and real-time group discussions are a few of the opportunities for interacting during your online course. These quizzes,exams and documents are copyrighted © 2008-2019 by The PET/CT Training Institute, Inc. The SNMMI-TS, NMTCB, ARRT, ICANL,ACR, and all States Department of Health, Bureau of Radiation Control, and others reserve all rights to change the course syllabus, and hours awarded. For updated information, contact the Institute at 239-821-0375. The hybrid fusion logo, as well as the trademarks identified on the associated documentation, are trademarks of The PET/CT Training Institute and may not be used or reproduced without The PET/CT Training Institute's permission. The information presented here may not under any circumstances be resold or redistributed for compensation of any kind without prior written permission from The PET/CT Training Institute. Students are allowed up to 12 months to complete the courses, or extended. If the student exceeds the enrollment period, he/she may have to pay a reactivation penalty. Partial credit will not be issued. Each course must be successfully completed in the time allotted. A passing grade per test is 80% or greater with two attempts allowed. All PET, CT, MR, and Nuclear Medicine Courses are accepted by ARRT, NMTCB, ACR, ICANL, Joint Commission, and States DOH. All courses are accepted by the Florida Department of Health, Bureau of Radiation Control. Students have one year to complete any course we offer. In the news this week! A Scope of Practice is terminology that defines the procedures, actions, and processes that are permitted for a licensed/certified individual. The scope of practice is limited to that which the law allows for specific education, experience, and competency. Each jurisdiction may have laws, licensing bodies, and regulations that describe requirements for education and training, and define scope of practice. Likewise, individual institutions may also have specific bylaws that define scope of practice in the absence of the above. The PET/CT Training Institute does not define a scope of practice or practice standards for nuclear medicine technologists or PET Technologist. The Scope of Practice or Practice Standards for Technologists is established by the professional societies that represent nuclear medicine technologists and the nuclear medicine technologist communities. Please note that these courses are not intended to modify or alter existing tort law; rather they should serve as concise outlines of nuclear medicine technology skills and responsibilities. Also, note that state regulations and institutional bylaws may take precedence over the duties outlined in these documents. This Institute follows the terms of the Creative Commons Attribution 4.0 International License (http://creativecommons.org/licenses/by/4.0/, which permits unrestricted use, distribution, and reproduction of any articles in any medium. * All educational materials provided! * Recognized by the SNMMI-TS, ARRT, and other Accreditation Agencies. The NMTCB�s recertification policy has recently been revised to allow Nuclear Cardiology (NCT) and Positron Emission Tomography (PET) specialty certificants the option to re-certify by a route other than traditional re-examination. Specialty credential holders now have the option of recertifying their NCT or PET specialty certifications by using an �Alternate Recertification Pathway"which requires the certificant to obtain and document specialty-specific continuing education activities to demonstrate their continued accumulation of knowledge about the specialty field. Specialty certificants who have already let their NCT or PET credential EXPIRE will be allowed a one-time option of regaining their certification by displaying 24 hours of specialty-specific continuing education hours and completing an Alternate Specialty Recertification Application by December 31, 2020. Specialty certificants who have a CURRENT credential will also have a limited time opportunity to extend their specialty credential another seven (7) years from the date of approval by submitting documentation of the completion of 24 specialty-specific continuing education hours and completing an Alternate Specialty Recertification Application. This limited time offer is only good through December 31, 2020. Once this offer expires, specialty certificants who want to recertify for an additional seven years will be required to (1) successfully pass the specialty examination OR (2) display 42 hours of acceptable specialty-specific continuing education for each year of certification. (The equivalent of 6 hours per year of certification.) Please note that no more than half of the specialty CE hours should be obtained in the 12 months prior to credential expiration. Please contact NMTCB by clicking HERE or emailing your request to recertifications@nmtcb.org. Recertification application documents are not available online. Effective January 1, 2021, any individual who lets their specialty credential expire without completing the alternate rectification route will only have the option of successfully passing the specialty exam in order to regain the credential. Specialty certificants will be expected to submit all of the CEs related to their specific exam at the time of recertification and prior to their credential's expiration date. For specific inquiries regarding this policy, please contact the NMTCB Examinations Manager. Copyright © 2019 NMTCB, All rights reserved. Reminder: The 2019 Radiation Safety certification examination will be given onFriday, August 16th and Saturday, August 17, 2019. The deadline to meet eligibility for this examination is July 1st. The NMTCB(RS) credential is intended to display a nuclear medicine technologist's expertise in all aspects of RAM and CT radiation safety issues, while also verifying their competency in fluoroscopy, X-ray, and MRI safety matters. 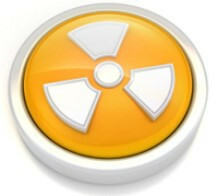 This credential helps medical imaging supervisors, administrators, and RSOs identify nuclear certified individuals who have demonstrated their knowledge in regulatory safety issues so that hospitals and other medical radiological users can have a solid core of personnel on site who are available and properly trained. The NMTCB(RS) certification is not intended to fulfill the NRC's required criteria for Radiation Safety Officers. Successful completion of the NMTCB(RS) exam will be recognized by the NMTCB as the equivalent of 24 hours of Continuing Education. Submit your application and you will be directed to a secure server where your payment can be made. All applications will need a payment submitted in order to be processed. Provide a letter of attestation from your supervisor or the RSO stating you have performed tasks directly associated with radiation safety over a minimum of one calendar year period. An applicant who can display that they are currently on or have been listed as an RSO or Associate RSO on an RAM license may submit a copy of the license in lieu of an attestation form. Thank you for the opportunity to take an on-line course for CT Review with The Institute. I got a good start on the road for preparation for the exam. Also, online option saves me a lot of time. Thank you to be very supportive at any time and for help to solve all my questions. The Review course is excellent. �PET MR Review Course� is an excellent course that gives a great foundation for the medical imaging technologists. It would definitely benefit the nuclear medicine technologist and the MRI technologist seeking to enter the PET/MR field. I wanted to let you know that after taking your CT course. I was able to pass the NMTCB exam. I would like to personally thank you for making this easy for me and very simple. I am pleased how easy it was and I had no worries about the videos. I sure wish MORE institutions were like you and your institution because then more deaf people like me would have this opportunity. I am now processing for the License for CT - and hoping to pass my CT exam in the next year or so. I appreciate all you have done and the easy communication. I will for sure be back for future CEUs and so on. I find it easier for me to do this instead of having several different websites to pay for. Well, I did it! I passed my NMTCB! Thank you so much for having this course available. I couldn't of passed this test without it. I've learned so much from the course. I have been telling people who are struggling to definitely take it. Thank you for your help it means a lot! Hope you are having good time. I am glad to inform you that I have cleared the CNMT exam yesterday. I would like to express my heart full of gratitude to you and The PETCT INSTITUTE for providing 24*7 day support . Your motivation was my inspiration . Thanks a ton for helping all the way, which helped me to complete the national licence exam (NMTCB)successfully. Wish you happy new year 2016. Cheers and keep the inspiration up. I will definitely opt for (thepetcttraininginstitute) for my future learning. alternate eligibility. Without which this wouldn't have happened. I wish you all the very best in continuing your wonderful service. Keep inspiring many more aspirants. I want to thank you for your help. I past my NMTCB exam on the first try last Saturday. Hi, a quick note to let you know I passed the NMCB and the program was well design and I felt prepared for the exam. Again, thank you! How are you? Hope you're well, I would like to let you know that today I did the NMTCB exam and I've passed, I don't know yet the score. The PET/CT Institute helped me pass my boards !! The modules are very informative and easy to follow!! Thank you Tim and staff, I would not have passed without them!!! Thank you!! I took my NMTCB exam on 27th June. I have a happy news for you , now i become a certified nuclear medicine technologist from USA . I really appreciate your efforts for me to conquer this. Thank you so much! I just want to let you know that I passed my NMTCB Exam! It was a challenging experience for me not only doing all my review but also in getting a testing site outside of US. I took a leave for two weeks to prepare last july and by the end of my leave, i would take the exam which was supposed to be in Malaysia. But, unluckily, the testing body had inform me a week before that the site is no longer available. I was really in panic! I called the isotesting and told me that the nearest country option for me were Australia or India. I have 1 week left and Australia was not possible due to Visa issues and so, I took the risk of getting the India testing Centre. > It was a challenging experience but I have learn so many moments in going to India. I could never forget how anxious i was both the exam and the strange country that i would be going. I had an adventurous time! Anyways, With Grace, I Finally Pass!! A million thanks to you for your all-out support in my preparation for the NMTCB exam. Again, thank you very much!!!! Just took rhe exam here in the eastern province of saudi arabia. Proctor said, we passed, I didi not know how but he said, we passed, me and cyrus. We'd like to thank you and pet/ct training for helping and assisting us. We couldn't make it here with out you. Dear Mr. Marshel,I just wanted to take the time to Personally thank Tim and the staff at the pet/ct training institute. It felt great that anytime i hada question anytime i had a concern my questions were answered immediately. The course content made it so that you actually gainedknowledge it was easy to navigate therefore easy to complete. I would highly recommend The PET/CT TRAINING INSTITUTE to anyone not only for CE but also to challenge you self to gain more knowledge. THANK YOU TIM AND THE PET/CT TRAINING INSTITUTE I will be back in the future!!!!! "PET/CT Course for the Nuclear Medicine Technologist"
Dear Tim,Thank you for all your help. With out your information I would not of done it! Thank you !!!! The Swatch Watch was first introduced in 1983 and single-handedly saved the rolex replica sale industry. rolex replica were loved by all. They appeal to people of all ages, and backgrounds. Whatever type of rolex replica sale you're looking for, there's a Swatch watch for you. The collection of rolex replica sale is vast but the following is a little of what is on offer. Children love Swatch watches and for many, it's the first watch they ever own. The perfect introduction for children is the Flik Flak replica watches sale. The cute but funky designs of the Flik Flak really appeal to the young. The Flik Flak collection comes in various themes like Paddington Bear, Ballerina's, Scaring monsters, rolex replica uk, and much more! They're Swiss made with a shock-resistant aluminum case, scratchproof mineral glass and a hard-wearing textile strap.